It was wonderful to see him wake up just a little more brightly so he can open Gift #1. And, it is amazing how an inexpensive mechanical pencil can make this little boy’s morning. 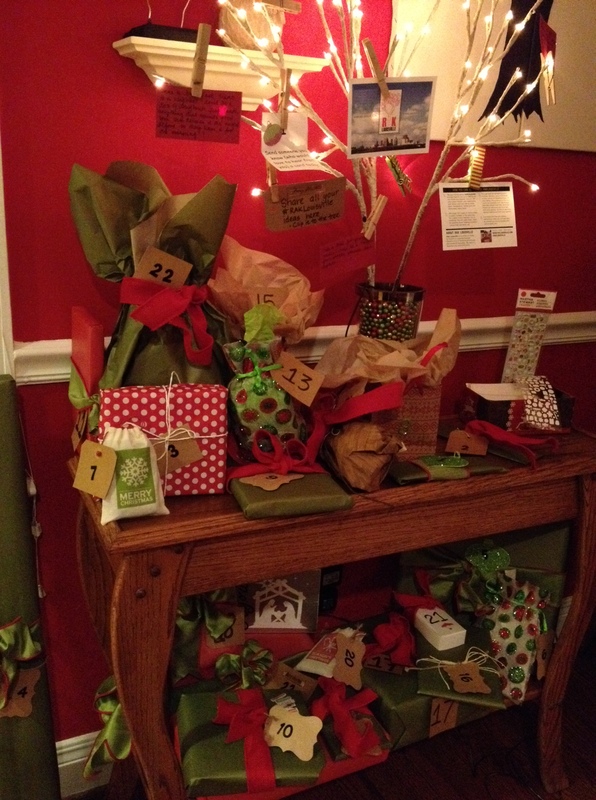 Everything that I wrapped is fairly inexpensive (except for a few books). It is all things that boys need (lead for mechanical pencils, duct tape, post-it notes, highlighters, more mechanical pencils – just a random assortment of stocking stuffers – just brightly wrapped and opened every morning in December leading up to Christmas. What a great start to the morning for all of us. ← An afternoon at The Dome in Ferdinand, Indiana. A monastery that looks like a castle!